Since 2017 we have partnered with a wonderful company called Calstone Inc to support the building of the hospital in Nebaj. This project is about bringing high level healthcare to a community that cannot afford it. Over 40% of the population has no access to any health care services. Many patients do not wish to seek care from public health due to cost, mistrust of provider and poor quality of services There is a great need for medical services, especially for young children, since 16% of infants suffer from low birth weight, and 50% of all children are malnourished. You can read more information here. Calstone organized a “Bucks for Blocks” fundraiser to raise money for the build. We are at an exciting stage, with the hospital walls coming up, and the estimated cost for each cement block is $100, and donors were extremely generous and each gave towards several blocks, raising a total of almost 70 thousand dollars! 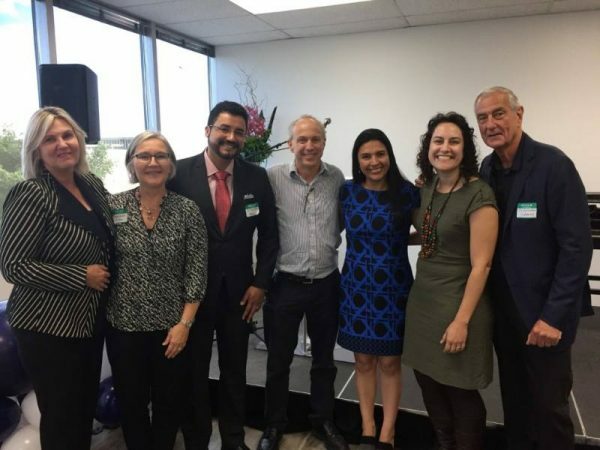 During the fundraiser we heard from the owners of Calstone and partner companies, Dr. Juan Pablo and his wife Carolina, as well as some team leaders, all of which shared the impact this project has had on their lives. If you would like to donate to this project, use any donate button on our website, with NEBAJ HOSPITAL as your designation.